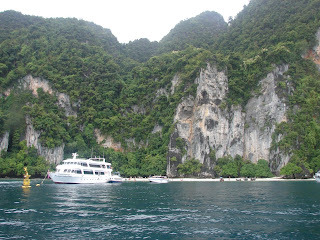 Today was my second splurge when I spent $60 on a day trip to the Phi Phi Islands which are known as incredibly beautiful and location to Leonardo DiCaprio's "The Beach". 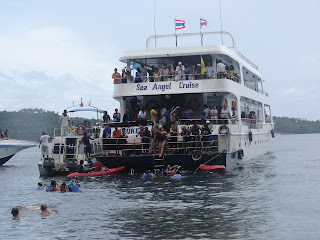 The trip is normally $90 for the speed boat to the islands and food and drink but I was able to secure a large discount with a little persuasion. 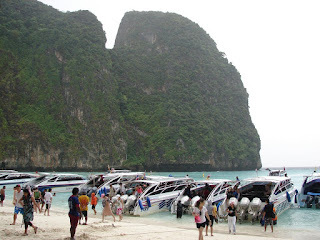 lol I quickly boarded the large speed boat which holds 40 passengers and secured a seat in the front so I could see the islands as we approached. 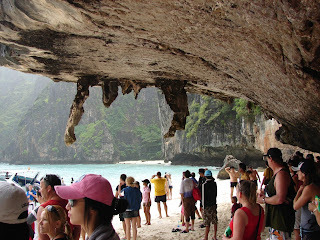 Great idea, as long as it doesn't rain. 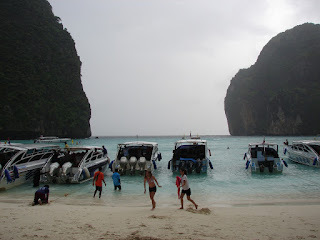 It rained for about 1.5 hrs on the way to the islands and on the first beach. 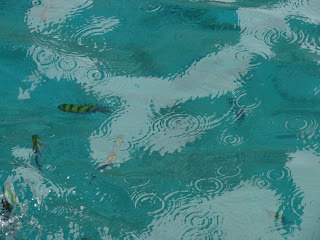 But the eight of us in front just laughed after a while because you can only get so wet. 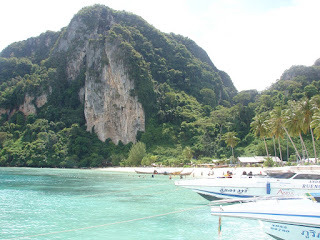 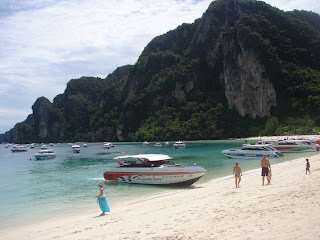 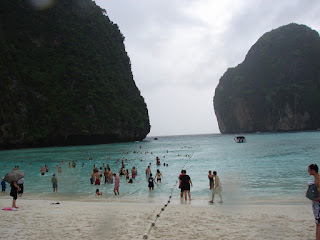 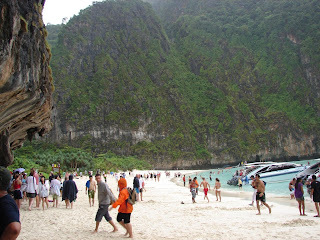 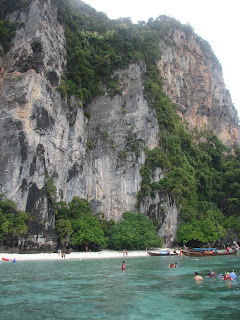 The first island was Phi Phi Lae Island which was the location for "The Beach". 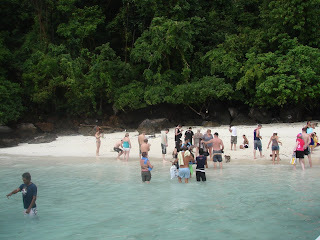 I am not sure how well the pictures will turn out because it was raining pretty hard when we were there. 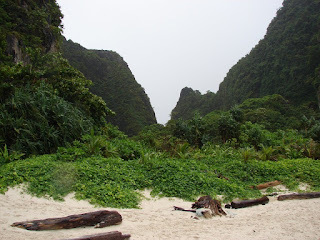 The island is a National Park and has no tourist accomodations or businesses, just beach. 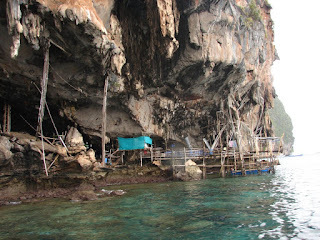 We were there only 35 minutes and I would have liked to have stayed longer and visited the hidden cove which was also in the movie. 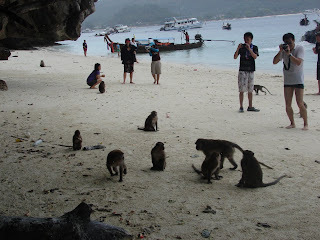 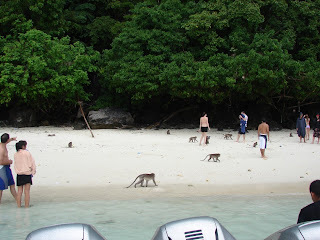 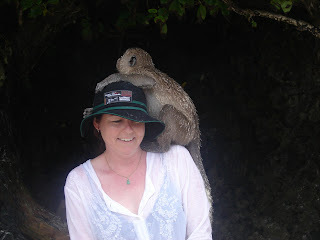 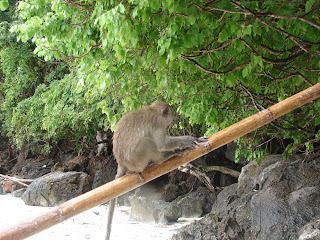 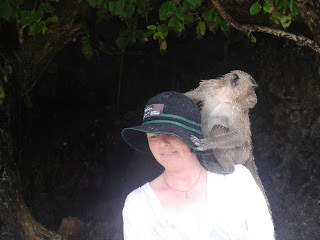 The next beach we visited was Monkey Island and there were monkeys everywhere on the beach. 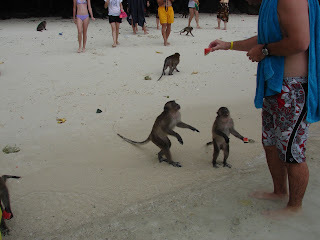 Probably 40-50 monkeys being feed fruit by the tourists. 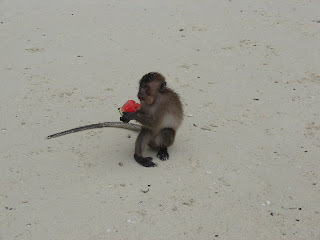 One monkey, with gnashing teeth, chased a tourist into the ocean. 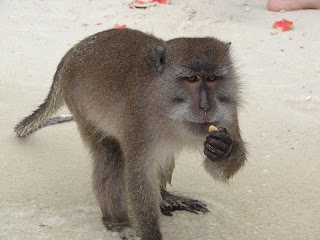 The guide said monkeys will occassionally bite when provoked. 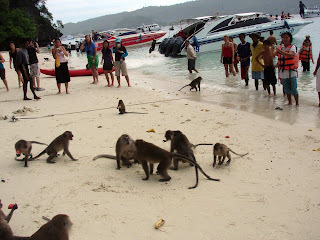 We witnessed several serious monkey brawls. 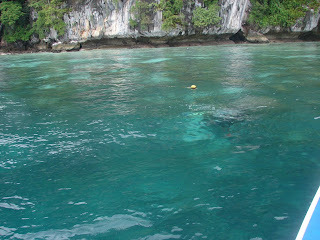 lol We next went to a beach for some fantastic snorkeling with great visibility and a large variety of fish. 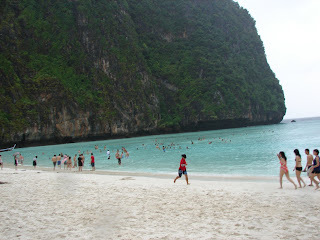 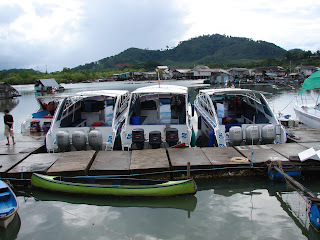 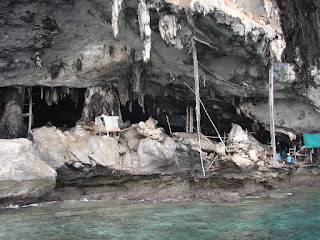 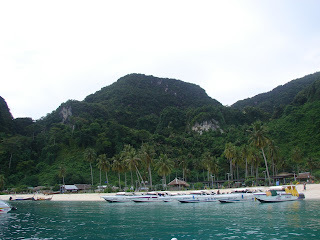 We next went to Phi Phi Don which has about 700 inhabitants and very little inexpensive accomodations. 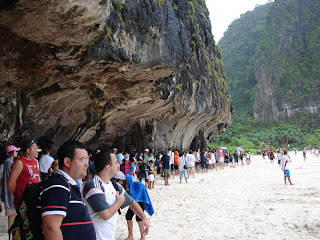 We had a large buffet lunch which was part of the tour and then spent an hour on the beach. 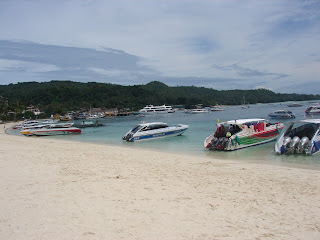 One more island stop to lay on the beach again for an hour and back home. 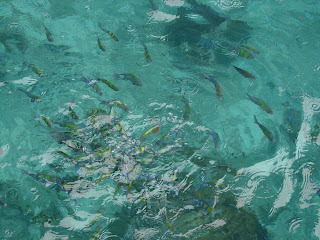 Will make some financial sacrifices over the next week to justify the expense but it was a very good day.